MIICCIA Chamber of Commerce signed MOU with E.Cam, Cameroon Chamber of Commerce between Amb. Anil Trigunayat(President) of MIICCIA, Former Amb. of India to Jordan, Libya & Malta & M Protais Ayangma Amang President of E.Cam, Cameroon Chamber of Commerce on 11th December 2018. 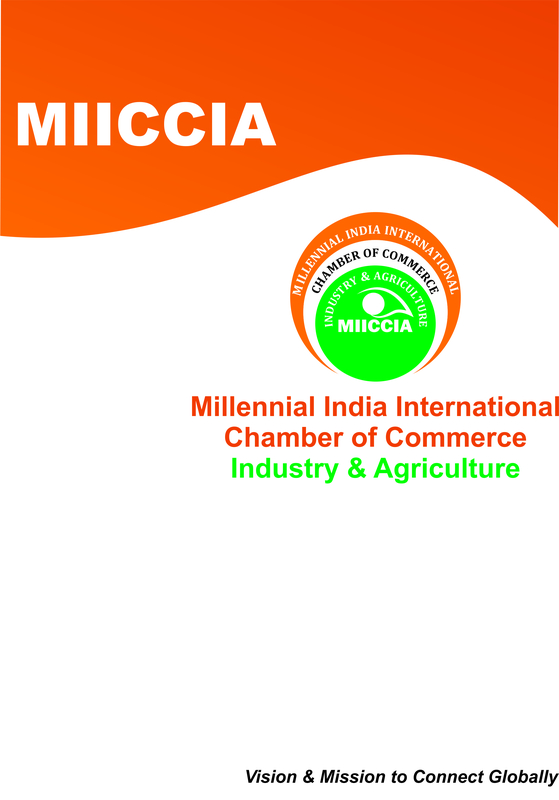 MIICCIA Chamber of Commerce signed MOU with India China Trade Centre(ICTC) between Amb. Anil Trigunayat(President) of MIICCIA, Former Amb. of India to Jordan, Libya & Malta and Mr. V.K. Mishra (Executive Vice Chairman) of India China Trade Centre(ICTC) on 18th December 2018. MIICCIA Chamber of Commerce signed MOU with Zimbabwe India Chamber of Commerce between Amb. Jitendra Kumar Tripathi, Former Amb. of India to Zimbabwe(Sr. Advisor MIICCIA) of MIICCIA & Mr. Nhau George Chitsinde President of Zimbabwe India Chamber of Commerce on 03rd November 2018. MIICCIA Chamber of Commerce signed MOU with Russian Export Center between Amb. Anil Trigunayat(President) of MIICCIA, Former Amb. of India to Jordan, Libya & Malta and Anna Belyaeva(Managing Director) of The Russian Export Center on 4th October 2018. MIICCIA Chamber of Commerce signed MOU with Kazakhstan-India Business Council between Amb. Anil Trigunayat(President) of MIICCIA, Former Amb. of India to Jordan, Libya & Malta and Yerzhan Shaikenov Co-Chairman of Kazakhstan-India Business Council on 12th October 2018. MIICCIA Chamber of Commerce signed MOU with Jordanian Businessmen Association between Amb. Anil Trigunayat(President) of MIICCIA, Former Amb. 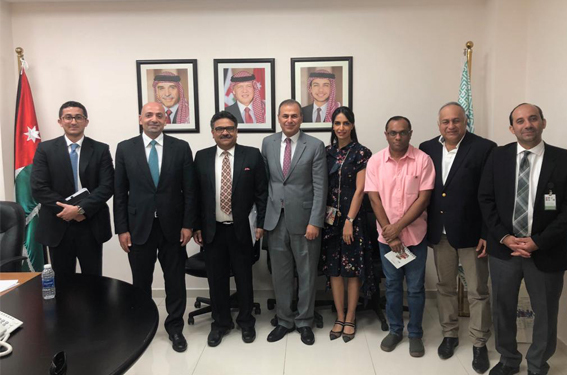 of India to Jordan, Libya & Malta and H.E Mr. Hamdi Tabba’a of Jordanian Businessmen Association(Jordan) on 16th September 2018. MIICCIA Chamber of Commerce signed MOU with Zarka Chamber of Industry between Amb. Anil Trigunayat(President) of MIICCIA, Former Amb. of India to Jordan, Libya & Malta and Fares Hammoudeh Chairman of Zarka Chamber of Industry on 16th September 2018. 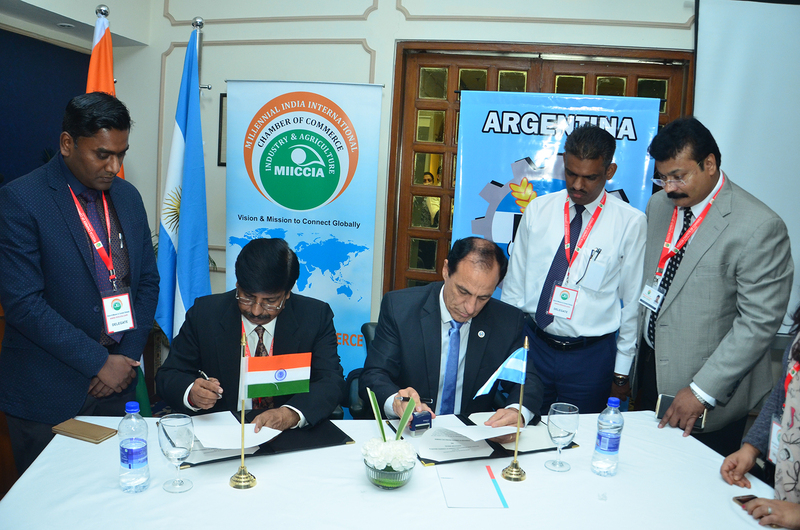 MIICCIA Chamber of Commerce signed MOU with Federation of Corrientes Province (FEC) Chambers (Argentina) between Mr. A.K.Kapila Founder (President) of MIICCIA & Ing. Daniel O. Cassiet President of Argentina (FEC) on 16th April 2018. MIICCIA Chamber of Commerce signed MOU with Asian African Chamber of Commerce between Amb. Anil Trigunayat(President) of MIICCIA, Former Amb. of India to Jordan, Libya & Malta and Dr. GD Singh(Founder and President) of Asian African Chamber of Commerce on 03rd January 2019. 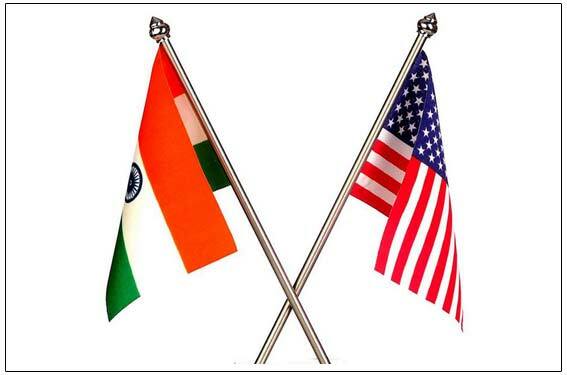 MIICCIA Chamber of Commerce signed MOU with Indo American Chamber of Commerce between Amb. Anil Trigunayat(President) of MIICCIA, Former Ambassador of India to Jordan, Libya & Malta and Mr.Neeraj Bhatia Vice Presidengt (Indo American Chamber of Commerce on February 28th 2019.